Corner lot 9.09 acre. Close to future St. Mary's Hospital (Buyer to verify). Level lot. Utilities Electric and Water available (Buyer to verify). Zoned R1. 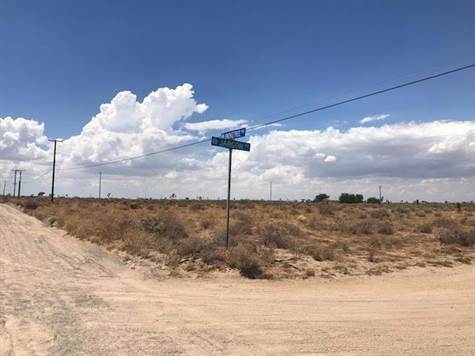 Located NW corner of Smoke Tree Road and Jargon Road, Victorville, Ca. APN #0405-331-08-0000. ©2006-2019 MGR REAL ESTATE, INC.